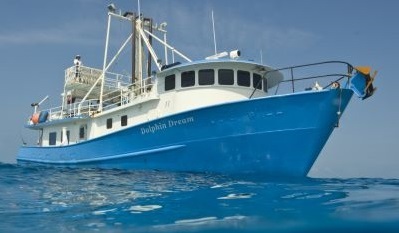 Join us for our next adventure....in the Bahamas aboard the M/V Dolphin Dream!! The M/V Dolphin Dream is an 86-foot ocean expedition charter yacht that cruises the islands of the Bahamas. The Bahamas lie off the east coast of Florida with over 700 islands stretching to the southwest. 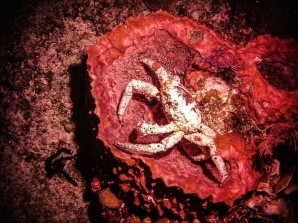 Your 5 day cuise includes 3-4 dives per day including night dives. This expedition has a bit of everything, two different shark dives, dolphin encounters if we are lucky, remote reefs and ancient shipwrecks. Just get yourself to West Palm Beach, Florida between the hours of 3-7pm. The boat will depart around 9:00pm. You will arrive in the Bahamas and clear customs the next day around 9:30am. 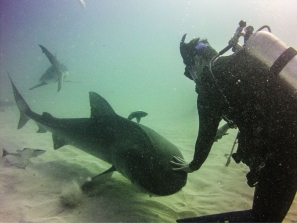 After that you will enjoy 3 days of great diving. The boat will return to West Palm Beach the morning of October 8, and you will disembark at 11:00am. Consider doing your AOW course. CLICK HERE to check out our Bahamas Gallery!!! Price does not include airfare.